Just make sure the moats are filled up with thousands and thousands of piranhas. 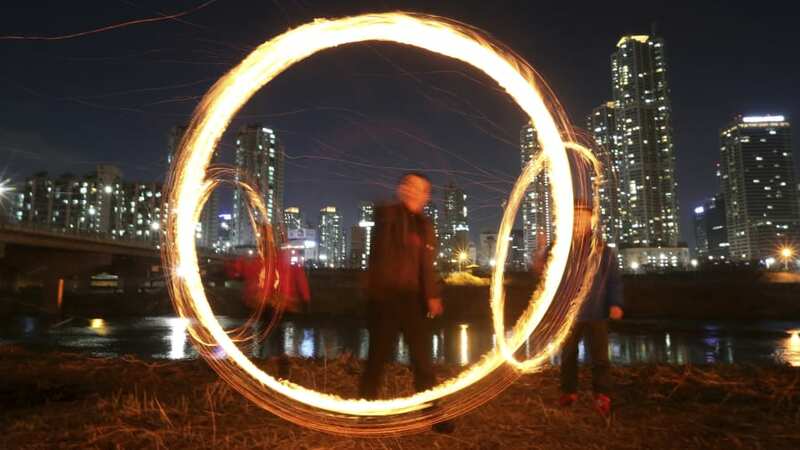 Seoul: Revelers celebrate in the South Korean capital as celebrations kick off to commemorate the first full moon of the Lunar New Year, which falls on March 2 in 2018. Even sloth bears take part. Those two are sniggering about the looks of the 1936 Zephyr Land Yacht. Nah, its just a long exposure of 1 guy running around with a torch. Nobody is SA has power anymore. Cherry Smoothie Bowl: Topped with cherries, sprinkles, frozen blueberries & blackberries, chocolate and strawberries. Made just with frozen bananas & cherries. ECLIPSE Smoothie Bowl: Topped with frozen blueberries & blackberries, sprinkles and a chocolate moon Made just with frozen bananas, blueberries and butterfly pea powder. This Philippine hardware store's selling angle on baseball bats is for a reason other than baseball. Orion by the light of loadshedding. Did you buy that? From where? Automatic Coffee Ice Cream Pod Machine.